In 2009 the suffix letter was replaced by a hyphen and the last two digits of the year. Normal series 1995-2008. 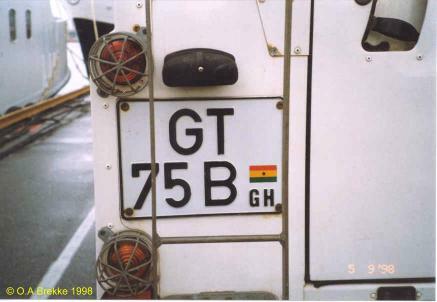 GT = Greater Accra (Tema). B = Reregistrations in 1995-96. 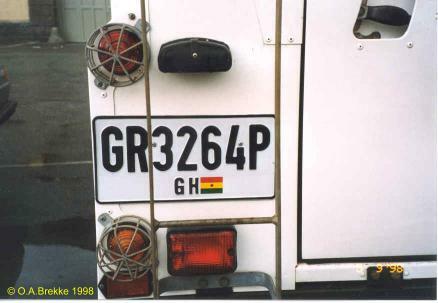 This is the same lorry that five years earlier was WU 33322 from Sierra Leone. Normal series 1995-2008. 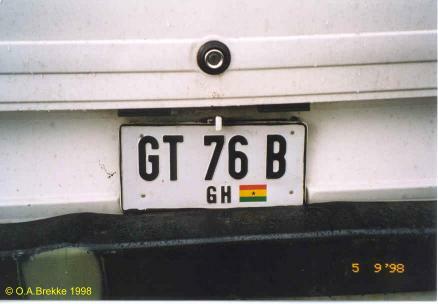 GR = Greater Accra (Accra). 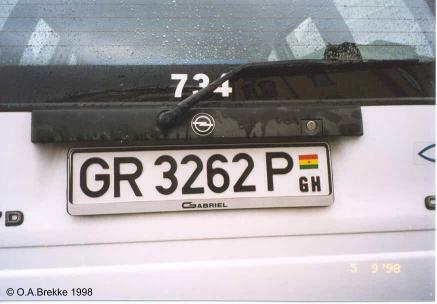 P = Year of registration 1998. Normal series 1995-2008. 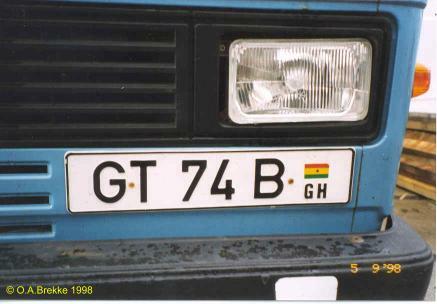 GR = Greater Accra (Accra). 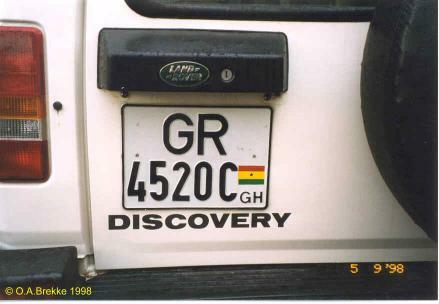 C = Year of registration 1996.